Witness to the marriage are Benjamin Waterfall and Martha Waterfall. 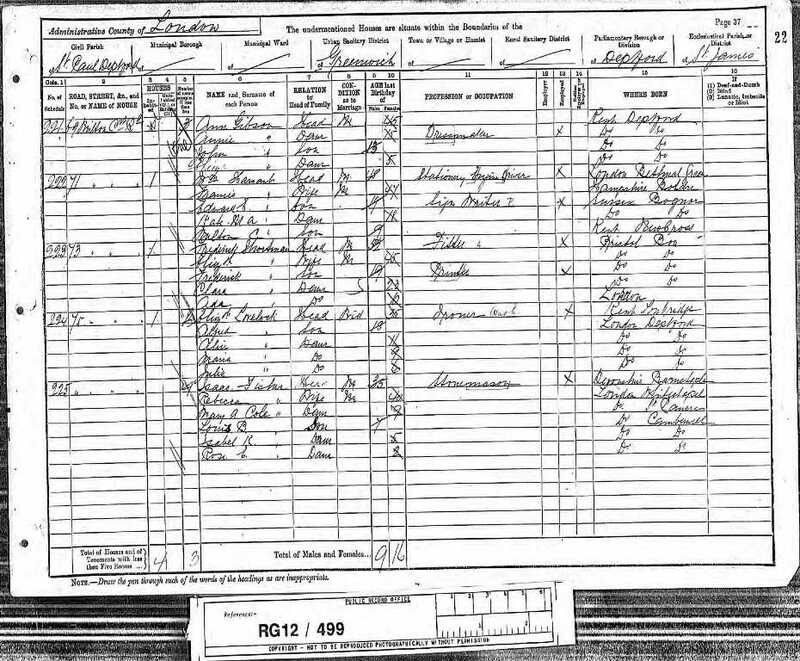 [S38] 1881 Census, (Ancestry.co.uk), RG11., RG11/718 Folio: 50 Page: 28 (Reliability: 2). [S6] 1891 Census, (Ancestry.co.uk), RG12., RG12/499 Folio: 22 Page: 37 (Reliability: 2). 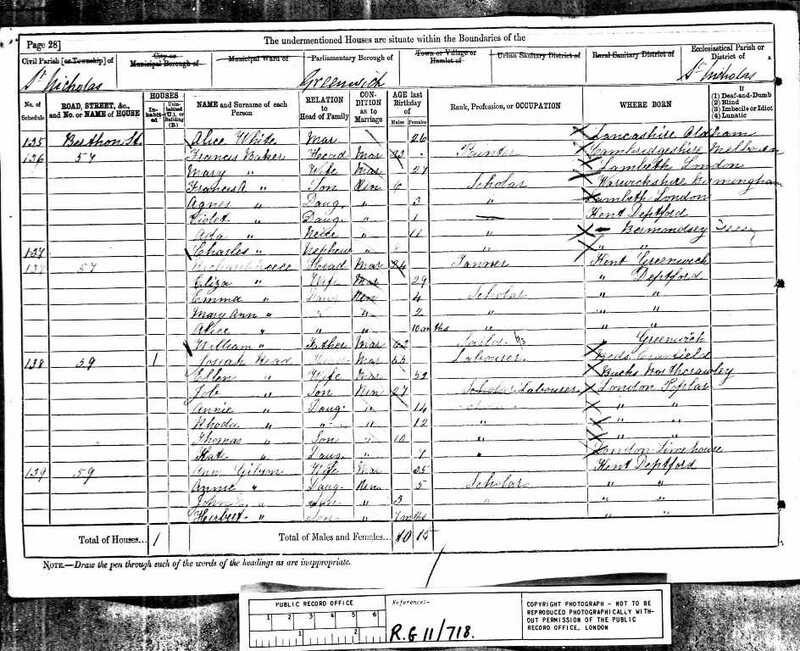 [S3] Marriage Indexes, (Ancestry.com), June 1874 Greenwich 1d 1106. [S49] Marriages of Deptford St Lukes, (Ancestry.com).